Randy Layton does it again. Alternative Records has been excavating musical treasures and releasing them for 26 years. 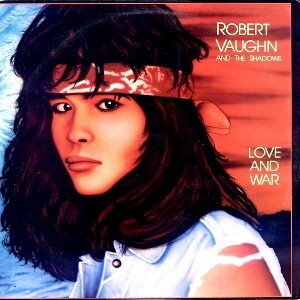 I picked up Robert Vaughn’s Love & War album back in the late 80s due to the “genius” reputation Exit Records had earned. Exit was home to musical proteges wanting to hand a stick of dynamite to the CCM world. This was also the last album Exit released. With distribution from Island Records, Love & War received national radio exposure but a big splash it make not. The press compared Robert Vaughn to Little Steven and Elvis Costello. While those comparisons may guide enthusiasts with no prior intro to Robert Vaughn, his music definitely stands out on its own. Love & War is exemplary in how it meshes political themes throughout. Justice, the radio airplay single, may be identified as a rallying cry for the exiled in Central America: “Hear the justice like thunder, As it’s rolling down the skies, Where are all the fatherless people who swore they’de never die.” The following two cuts, Palace Of Tears and Dreaming Fields amalgamate lament and apocalyptic hope. Randy remastered this recording. Comparing the sonics of this CD to the original vinyl, I am pleased with a remarkably fuller sound. While the original recording is crisp, sound production standards of the 80’s were more thin than current standards. This re-release also adds more than ten bonus tracks, most demoes of tracks from the Love & War era. I especially enjoyed Writing On The Wall, a recording which also appears on Bootlevel, a CD compilation on Alternative Records in ‘94. I can only echo Doug’s comments here. Randy has done a great job of the remaster and the extras are worth the price by themselves! I am not sure if you can still get copies of this from Randy, but email him and ask.